Our former Prime Minister Mr.P.V.Narasimha Rao used to watch only Natakireeti Rajendra Prasad's movies, whenever he got leisure. Perhaps, Rajendra Prasad was the favourite hero to him.Even today, we can see a collection of Rajendra Prasad's movie in the CD libraries of many families. Even though, Rajendra Prasad is capable to perform all kinds of roles, he perfectly fits to perform comic roles. That's why his movies such as 'Aha Naa Pellanta', 'Aa Okkatee Adakku', ' Appula Apparao', 'April okati Vidudala', 'Ladies Tailor' etc. are remembered even today. Unfortunately, he is not properly being used by the directors of recent flicks. He is mostly offered serious and emotional roles these days. Most of those movies were flopped at the box office. 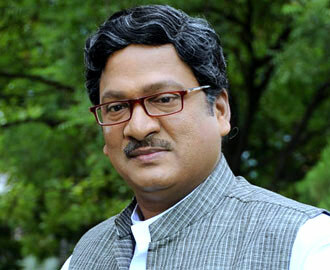 Finally, he was rightly used by the director Trivikram in 'Julayi'. And its fruits are being received by the makers of 'Julayi' now. Currently, the movie is running with super hit collections all over the state. Hope, Rajendra Prasad will play hilarious roles in his future movies as well. Definitely, those movies will work out well at the box office. Anajli in Love with Married Director?! Balakrishna & His Sons-in-Law in Trouble! F2 Did It Great! But Failed There!